Reynolds Price (1933–2011), who authored forty-one acclaimed novels, memoirs, plays, and collections of poetry and essays, was one of America's most notable writers of the past half-century. His works have a home on the shelves of millions of admiring readers worldwide. Fueled by a brilliant mind and exuberant spirit, Price’s singular literary voice not only shines a light on the land and people of his native South, but also on the inherent worth of every person. His enduring belief in beauty, courage, grace, and hope transcends time and circumstance. 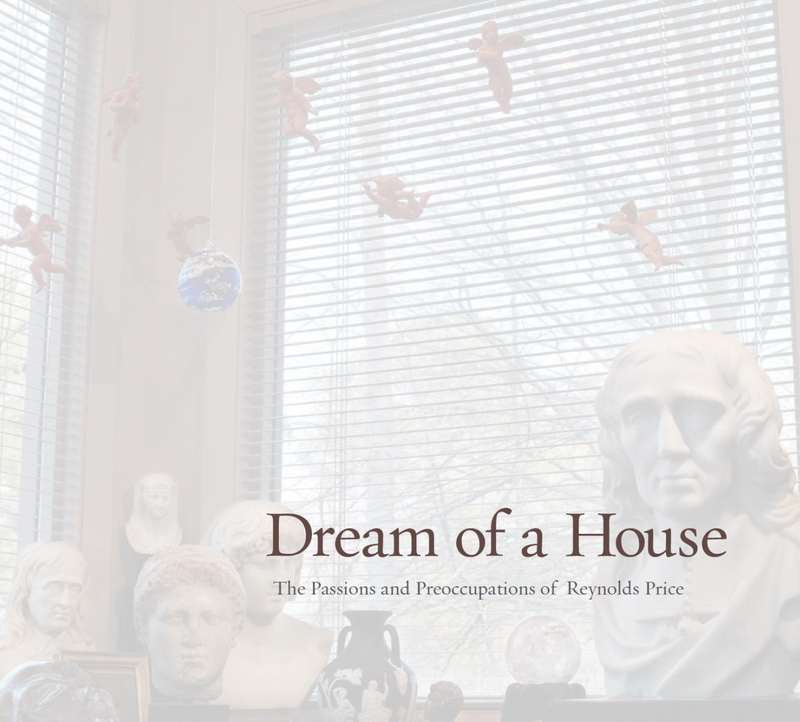 After Reynolds Price died, Alex Harris was asked by the Price family and Duke University, where Price taught for more than five decades, to document the house before it was sold and the artwork as a living collection disassembled. In this creative work, forty carefully selected excerpts from Price’s writings are interwoven with sixty-one of Harris’s exquisite, meticulous photographs. As we turn each page, it is as if Reynolds Price himself is taking us on a guided tour of his home. And as we move through his rooms, Price reveals his private world, recounts significant episodes in his life, and speaks with wisdom and humor about the people, places, ideas, and beliefs most important to him. We also glimpse vital truths about the human condition, finding meaning in our own lives. An exhibit of selected photographs from the book will be on view at the Rubenstein Library at Duke University from July 15 through November 5, 2017, with a reception, talk, and book signing event on September 28, 5–7 p.m.